can shift consciousness on issues of concern. The "purest densest meanings are conveyed through art, through individual and collective creations driven by the desire to express and communicate unencumbered by extraneous objectives (Adams, Goldbard)." Because human beings are avid meaning-makers, the arts offer a necessary discipline for meaningful expression. Not only does art provide a communication channel that transgresses traditional boundaries but it also provides a platform for difficult conversations and invites the public expression of complex or controversial ideas. Storyteller and civil rights activist John O'Neill explains art is "the way people make sense of their experience." Dr. Cynthia Cohen and Producer of the documentary Acting Together on the World Stage states, "the arts can help us become critically aware of the symbolic structures through which we compose meaning. This level of meta-cognition is often necessary also in the processes of reconciliation, as former enemies reassess the symbols embedded within enmity discourses." In a world that is so reliant upon visual modes of communication to share ideas, stories, or sell products, it is quite logical and natural that film and the performing arts might also be accessed to pose difficult questions, inspire conversation, and even call for positive social change. Acting Together on the World Stage (created with filmmaker Allison Lund, Theatre without Borders, and Brandeis University's Peacebuildng and the Arts) highlights performing arts peacebuilding initiatives throughout the world. 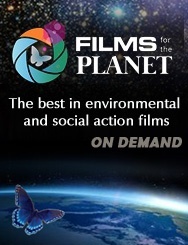 The film presents various projects that support healing, community building and meaningful transformation in response to the aftermath of large-scale violent conflict. The audience is initiated on a voyage through Argentina, Australia, Cambodia, Peru, Serbia, Uganda, and the United States, witnessing the power of performing arts as a catalyst for healing and change. The film educates the viewer of lesser-known and unique histories, periods of oppression, courageous activism, and the unique role of performing art in these contexts. Australian artist and peacebuilder MaryAnn Hunter underscores the need to understand exactly what it is "that makes [theatre] extraordinary enough for people to stop and think and change?" While there is no single answer to this question, many valid responses are offered within Acting Together on the World Stage and will aid future artist peacebuilders in the pursuit of success. It becomes evident that each project successfully harnesses something quite universal that has enabled large communities to grow, apologize, and connect. Traditional communities in Peru are able to heal and process their past through the theatrical work of Grupo Yuyachkani, which toured alongside the government sponsored Truth and Reconciliation Commission. Likewise, Serbs are given an opportunity to come to terms with their countries' violent past through powerful work directed by Dijana Milosevic. Aboriginal and Australian youth find community, equality, and friendship through the development of peace driven hip-hop and dance.